The Cosentino Group, working with industry experts, have published their 2017 Global Kitchen Study which predicts the characteristics of the kitchen of the future. If you don’t follow major appliance news (and most people don’t) you might not know that several mergers and acquisitions the first half of this year – especially with Asian major appliances companies, will impact the global competitive landscape for appliance manufacturers. It’s hard to believe the 4th is just around the corner. 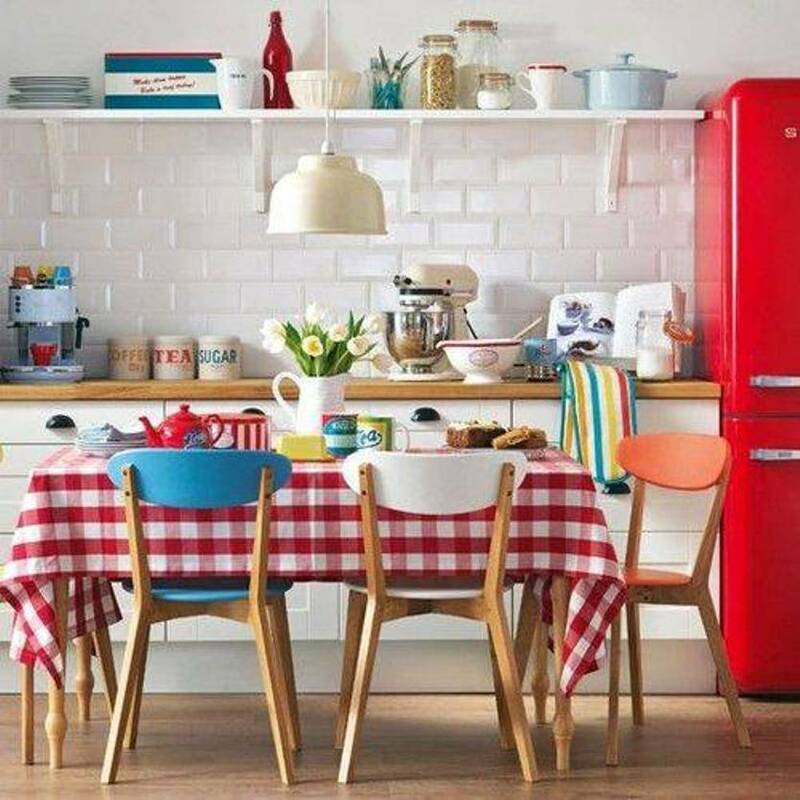 Here’s some red, white and blue kitchen inspiration. Which is your favorite? 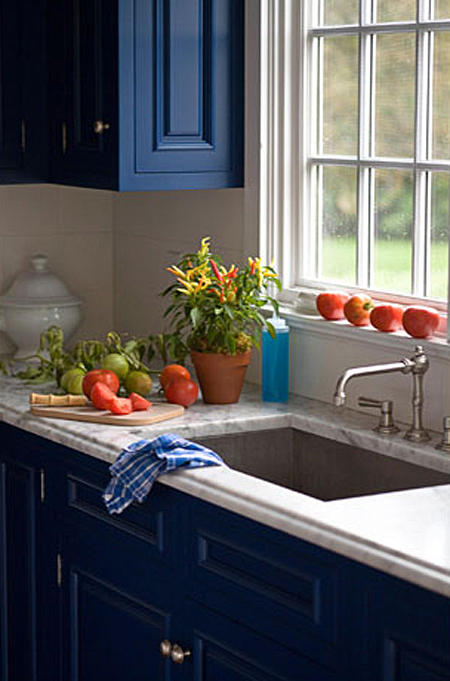 This photo was style so well with the red tomatoes contrasting with the gorgeous deep blue cabinets. 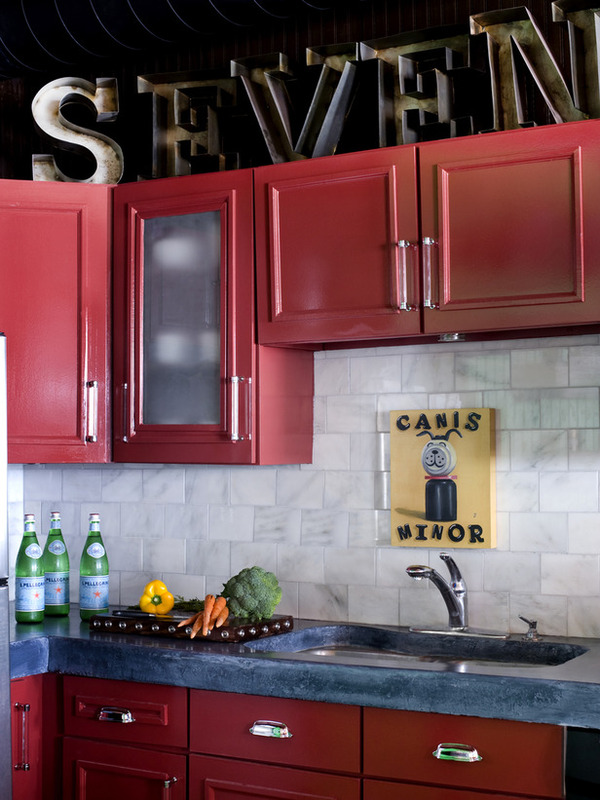 This kitchen is super fun with the red SMEG refrigerator. 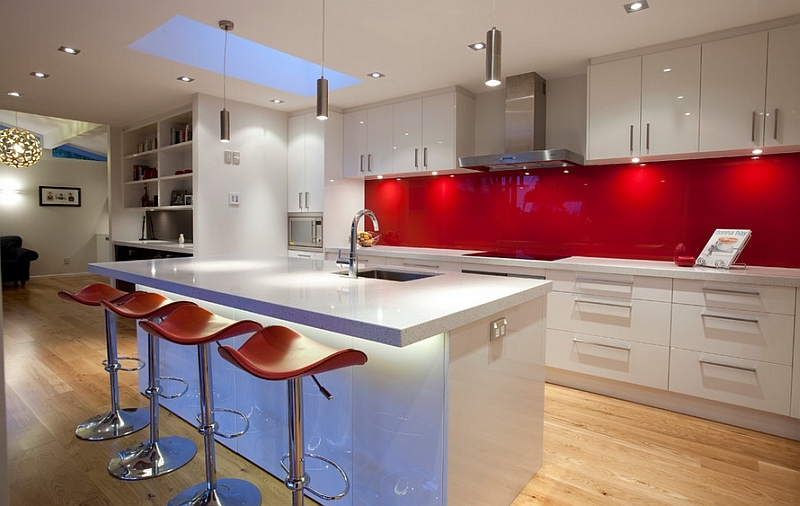 This red back-painted glass splash really keeps this white kitchen from looking sterile. What’s not to love about this pale blue kitchen? 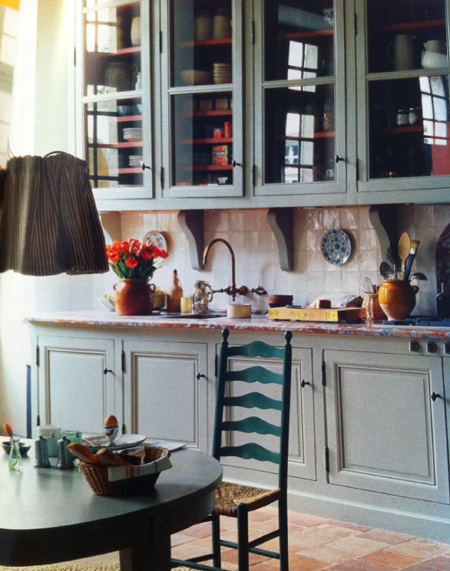 The contrasting cabinet interior is a beautiful detail. I love kitchen banquettes and this one is complete with storage. 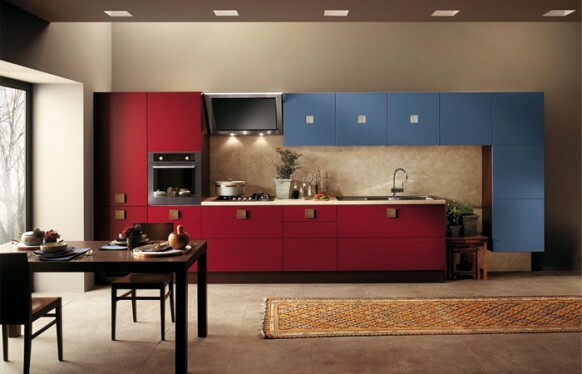 This Scavolini kitchen is bold and beautiful. Love the square pulls. I love the countertop so much with the red cabinets, I’m going to overlook the drawer head mistake in the corner. 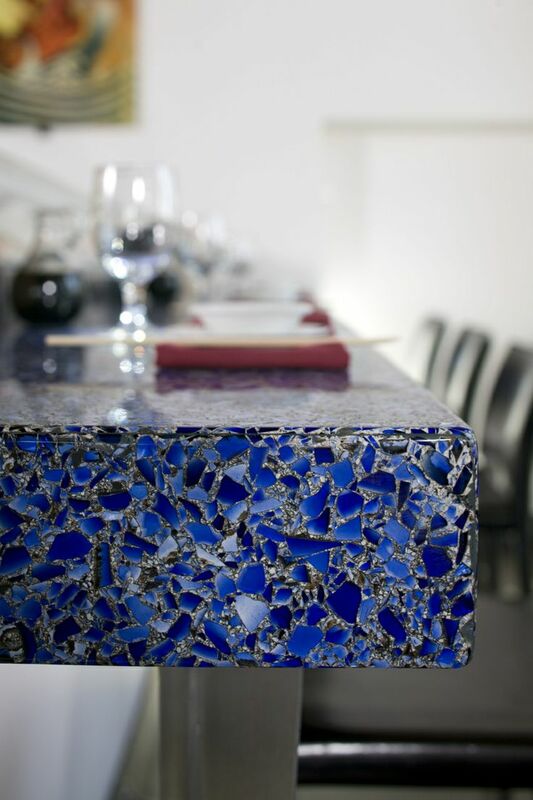 This recycled glass top countertop from Vetrazzo is perfect for entertaining. Dark Kitchens are trending. Let's explore ways to incorporate your personal style.